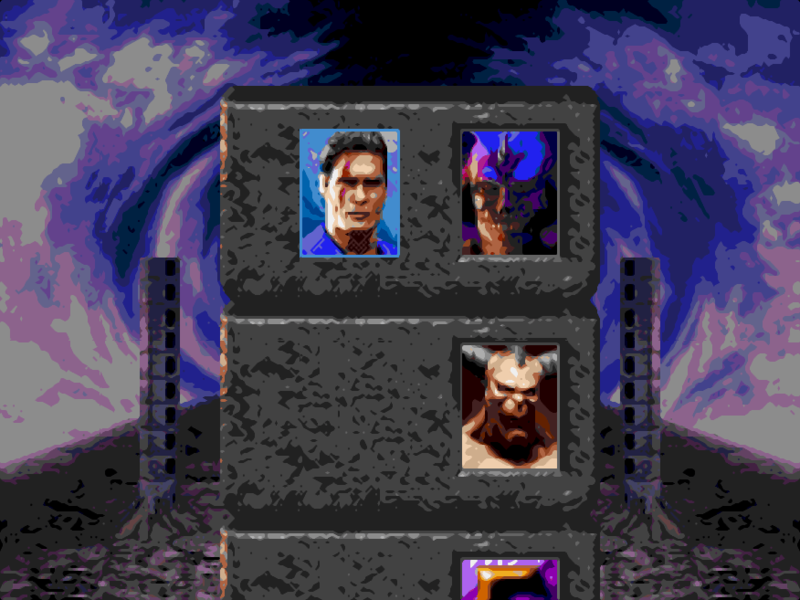 Final Zone: Mortal Kombat 3. Shao Kahn in Ultimate Mortal Kombat 3 is the ultimate headache. You could lose the round in less than ten seconds, and wonder what just occurred. Mortal Kombat 3 was what final bosses gave them the extra trepidation for me. Especially in its first three games, you could also remember at least two of them, and one was often rumoured to be playable. The first game had Goro and Shang Tsung, a four armed monster, followed by a sorceror who could change into another character at will. The second had a bigger sub boss called Kintaro, followed by Shao Kahn. 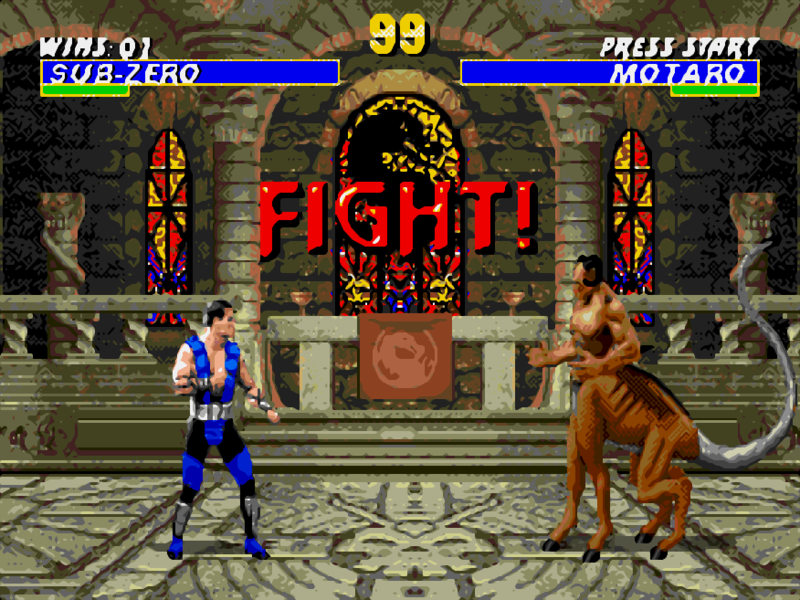 In Mortal Kombat 3 there is Motaro; a half human, half horse creature, followed by Shao Kahn once more. By now, you will have been used to a certain character to get to this point. You would have bought a strategy guide from Woolworths to learn the combos and the Fatalities, and you’d think you’d be more than prepared. But it mostly wouldn’t be the case. Especially if you were on ‘Master’ difficulty. Usually halfway through after winning around four matches, the game learns what moves you do, and by now, you’ll be faced with blocks and paranoid thoughts that the opponent moves a lot quicker than you. Once you finally reach Shao Kahn, the character is relentless. There’s a good chance you’ll use all of your continues and have to start the game again. At times it will simply be pure luck that you’ll win one round. He can easily win the match in ten seconds, and will even taunt you as you try to dodge a projectile. Usually the moves will be a short dash, which will fly your character across the stage, while another will be a hammer, which will render you unable to control your chosen character for a few moments. 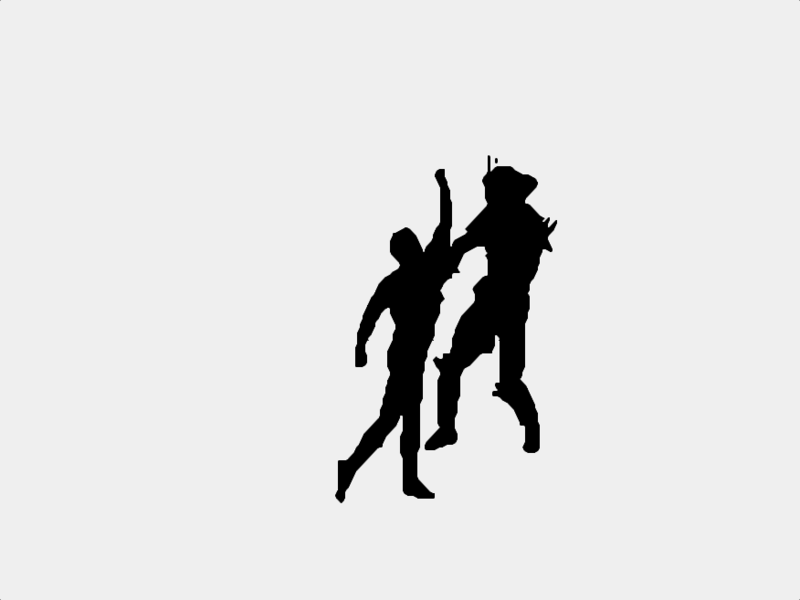 The best, or, only method I’ve found, is to jump in the air and kick at the right time, especially when he taunts. Especially with my character of choice, Sub Zero, can freeze him for three seconds, which is enough for an uppercut or to keep him from using the dash move. Uppercuts also benefit, and if you find yourself trapped at one end of the stage, which usually occurs, I only recommend to get out of the area as fast as you can. Finally, you will have beaten Shao Kahn, and a great deal of satisfaction will suddenly occur. You’ll then be brought to a selection of ten boxes, which can either give you a demonstration of certain Fatalities, or an ‘Endurance’ match, which will pit you against two or three of its secret characters. And then, you would have finally beaten Mortal Kombat 3. Back when it was first released and I was renting it from Blockbuster, I could only reach Motaro, and by then I’d be on my last continue, and I’d soon be brought to the Game Over screen. 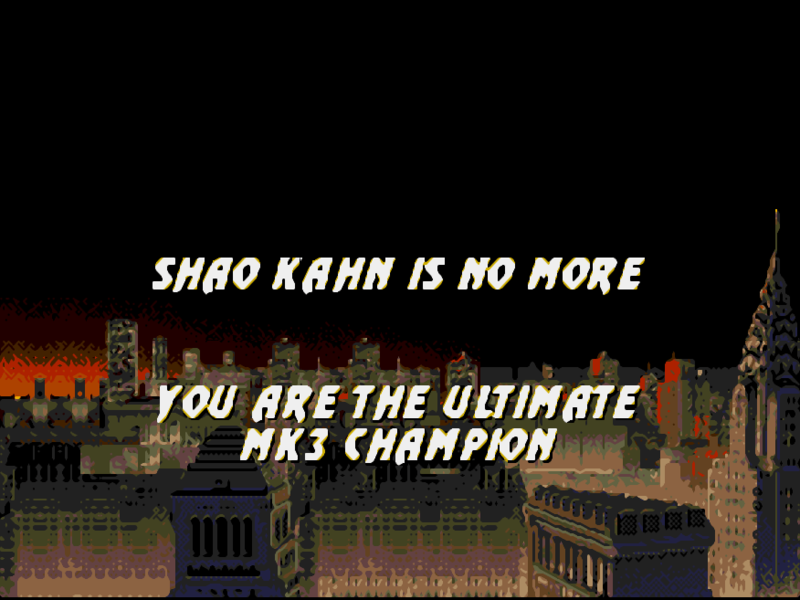 Only in the last few years I’ve beaten Shao Kahn, and in an age of save states and easy to reach codes to exploit the game, I wanted to go through the game as genuine as possible, otherwise it’s an empty victory. 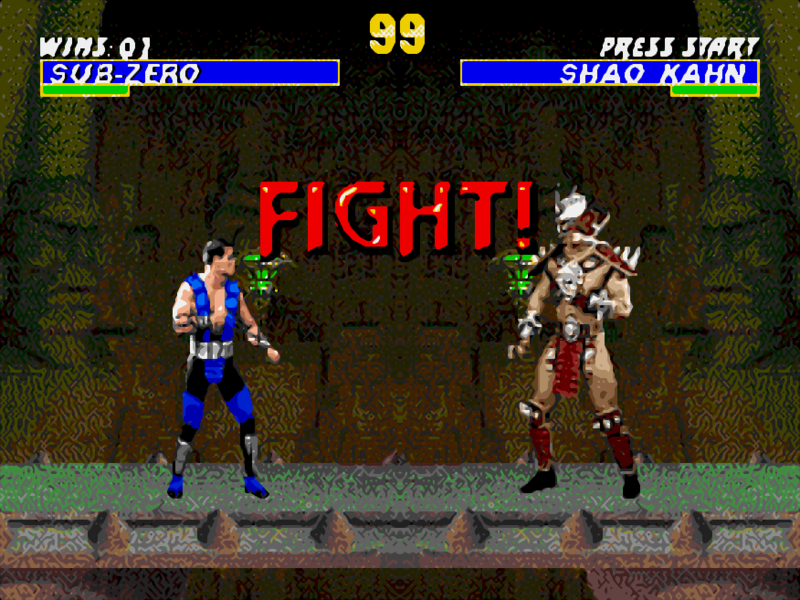 I encourage you if you’ve had a rough day, and you feel stressed, switch on Mortal Kombat 3 and it may just help.